This is unfinished building which is located in the nice town Topolovgrad. The building has strategic place on two main roads in the town. It is made of concrete and bricks and is very stable. The size of the building is 150sq.meters. It has four big rooms. According to the project they should be restaurnat, office, hunting shop and cafe. The restaurant space was made according to the requiremenst for it. It has kitchen area. All the pipes for the drinking water and for the wastes water are installed. From the both sides of the building there are small gardens which can be used as a summer gardens. The building has the permission for building a second storey which you can use for motel. All the materials like roof tiles and beams are kept in the building. This is really good investment with lot of potential. The prices quoted on all our properties are fully inclusive of Company Formation, Solicitors Fees, Notary Fees, All Taxes, Travel & Commission The price you see is exactly what you will pay, You will endure no additional costs. 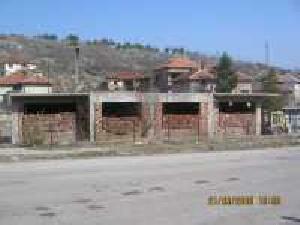 We always have a good selection of properties for sale Bulgaria. Bulgarian properties remain a top choice for people looking for both investment and holiday homes. If you are thinking about buying property in Bulgaria and perhaps renovating, please click on the building tab on the home page. If you cannot see what you are looking for on the web site, please contact me. I am always able to find exactly what my clients are looking for. Bulgaria property investors are doing very well at present. The rate of growth is outstripping all expectations, this is thought to be the due to the imminent entry into the EU.